but I’m still new to the whole thing. Do you have any helpful hints for novice blog writers? Evidemment, comme vous vous en doutez, ça m’a bien coûté cher ! 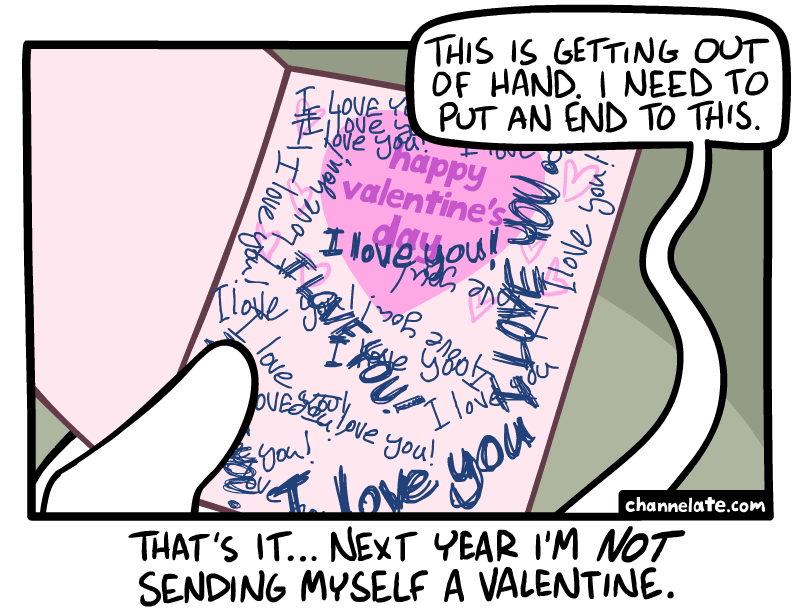 Hi there,I log on to your new stuff named “Channelate – Valentine.” on a regular basis.Your writing style is witty, keep doing what you’re doing! And you can look our website about proxy list. NK25RR Some really prime content on this web site , bookmarked. When you can grab my attention in the first few words of an article it as an accomplishment. You ave ignited my interest on this subject and I thank you for this. Im obliged for the blog.Really thank you! Awesome. I\ ave been using iXpenseIt for the past two years. Great app with very regular updates. I truly appreciate this blog article.Really looking forward to read more. Much obliged. My dream retirement involves traveling domestically and internationally to perform on environmental causes. Way cool! Some extremely valid points! I appreciate you writing this article plus the rest of the website is also really good. You are my intake , I have few blogs and sometimes run out from to post. This awesome blog is definitely interesting and besides informative. I have found helluva handy advices out of it. I ad love to return every once in a while. Thanks! Pretty! This was an incredibly wonderful post. Thank you for providing this info. You ought to be a part of a contest for one of the highest quality blogs online. I am going to highly recommend this blog! I think this is a real great blog post.Much thanks again. Fantastic. Once We came up to this short article I may only see part of it, is this specific my internet browser or the world wide web website? Should We reboot? You have mentioned very interesting points ! ps decent web site. Spot on with this write-up, I truly think this website needs much more consideration. Ia??????????????????????????? ?ll probably be again to learn way more, thanks for that info. You made some nice points there. I did a search on the subject matter and found most guys will agree with your site. Lastly, a problem that I am passionate about. I ave looked for info of this caliber for the final a number of hrs. Your website is tremendously appreciated. You have got a really nice layout for your blog i want it to utilize on my web site also. This is a very good tip particularly to those fresh to the blogosphere. Brief but very precise info Many thanks for sharing this one. A must read article! What i discover troublesome is to find a weblog that may capture me for a minute however your blog is different. Bravo. This excellent website certainly has all the info I wanted concerning this subject and didn at know who to ask. Rattling nice design and style and superb subject material, hardly anything else we need. Thanks again for the blog article.Much thanks again. Keep writing. Usually My spouse and i don at send ahead web sites, on the contrary I may possibly wish to claim that this particular supply in fact forced us to solve this. Fantastically sunny submit! Of course, what a fantastic site and illuminating posts, I will bookmark your site.Best Regards! I really liked your blog.Thanks Again. Want more. Thanks-a-mundo for the article post. Great. Regards for helping out, wonderful info. ?????? Our individual lives cannot, generally, be works of art unless the social order is also.?? ???? by Charles Horton Cooley. I truly appreciate this article. Want more. Your style is very unique in comparison to other people I ave read stuff from. Thanks for posting when you have the opportunity, Guess I all just bookmark this page. Thanks-a-mundo for the blog article. Much obliged. Preceding to you choose to create your own checklist to add an idea linked with what camping checklist ought to. Actually A listing can be better than what you need. You have made some decent points there. I looked on the web for additional information about the issue and found most individuals will go along with your views on this web site. Major thankies for the article.Thanks Again. When some one searches for his vital thing, therefore he/she wishes to be available that in detail, therefore that thing is maintained over here. Some genuinely fantastic information, Gladiola I found this. This is really attention-grabbing, You are an overly skilled blogger. platform. I have heard excellent things about blogengine.net. That is a really good tip particularly to those fresh to the blogosphere. Simple but very precise informationa?????????????????????? Many thanks for sharing this one. A must read post! Major thankies for the blog article. Fantastic. You made several fine points there. I did a search on the topic and found a good number of people will have the same opinion with your blog. It as not that I want to copy your web site, but I really like the design. Could you let me know which style are you using? Or was it custom made? Very nice article. I certainly appreciate this site. Stick with it! Usually I do not read article on blogs, however I would like to say that this write-up very pressured me to try and do so! Your writing taste has been amazed me. Thanks, quite great post. Piece of writing writing is also a fun, if you be acquainted with after that you can write if not it is complex to write. Thanks for sharing, this is a fantastic blog article.Much thanks again. Really Great. Wohh just what I was looking for, appreciate it for posting. louis vuitton travel case ??????30????????????????5??????????????? | ???????? The world hopes for more passionate writers like you who aren at afraid to say how they believe. At all times follow your heart. Say, you got a nice article post.Really looking forward to read more. Really appreciate you sharing this blog article. Really Great. Moreover, The contents are masterpiece. you have performed a wonderful activity in this subject! I truly appreciate this blog post.Really looking forward to read more. Awesome. Not loads of information and facts in this particular tale, what happened into the boat? Usually I don at read post on blogs, but I would like to say that this write-up very forced me to try and do so! Your writing style has been amazed me. Thanks, quite nice post. I value the article post.Really thank you! Much obliged. Ia??????????????????????????? ?ll create a hyperlink towards the internet page about my private weblog. Incredible points. Outstanding arguments. Keep up the good effort. Utterly composed articles , appreciate it for selective information. Really informative post.Really looking forward to read more. Fantastic. Thank you for your article post.Thanks Again. Really Great. It as not that I want to replicate your web-site, but I really like the layout. Could you tell me which style are you using? Or was it tailor made? Very interesting information!Perfect just what I was looking for! ??????? ?I have great faith in fools ???????????? ? self confidence my friends call it.???????? by Edgar Allan Poe. Thanks for sharing, this is a fantastic post. Wow, that as what I was exploring for, what a stuff! existing here at this website, thanks admin of this web site. Perfectly composed subject material , thankyou for selective information. Way cool! Some very valid points! I appreciate you penning this write-up and also the rest of the website is extremely good. keep up the excellent work , I read few articles on this site and I conceive that your website is real interesting and has got bands of fantastic information. some genuinely interesting info , well written and generally user friendly. It as not that I want to copy your web page, but I really like the design and style. Could you let me know which style are you using? Or was it custom made? mmVbkr Wow, superb weblog structure! How long have you been running a blog for? you make blogging look easy. The overall look of your site is great, let alone the content material! cWY2w8 Pretty! This was an extremely wonderful post. Thank you for supplying these details. You made some nice points there. I did a search on the subject and found most guys will approve with your site. I’? ?ve learn a few excellent stuff here. Definitely value bookmarking for revisiting. I surprise how so much attempt you put to create this type of great informative web site. This is one awesome blog post.Really looking forward to read more. Keep writing.